Heat your Black Knight barbecue and lightly oil grill. Peel back corn husks and remove silk. Place 1 tablespoon butter, salt and pepper on each piece of corn. Close husks. 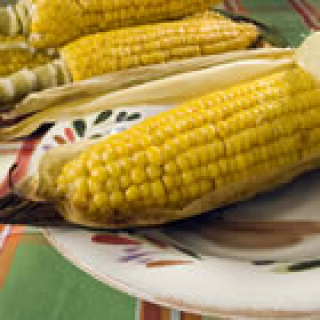 Wrap each ear of corn tightly in aluminum foil. Place on the prepared grill. Cook approximately 30 minutes, turning occasionally, until corn is tender.